Audi of America is launching a national campaign challenging common misperceptions of electric vehicles. The tongue-in-cheek “Not for You” from Venables Bell & Partners features the all-electric Audi e-tron SUV. The spot’s intention is to debunk myths about electric vehicles' range, charging infrastructure and performance, says Loren Angelo, vice president of marketing, Audi of America. 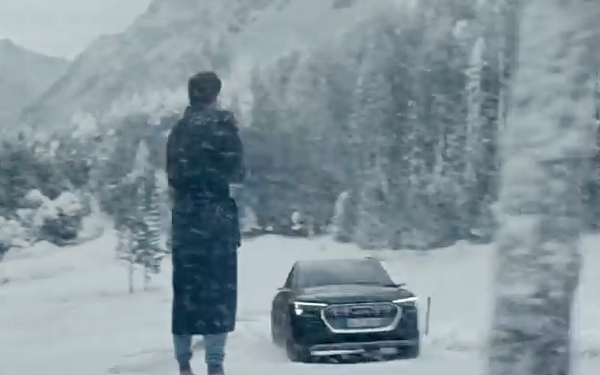 “Consumer education is critical to electric vehicle adoption, so our intention was to cleverly debunk long-standing myths about EV ownership by showcasing the Audi e-tron as the no-compromise SUV designed for customers to go electric today,” Angelo tells Marketing Daily. The effort includes a 60-second online spot and a 30-second national TV spot. It will also be promoted via social media. The 2019 Audi e-tron is the first of four all-electric models Audi plans to offer in the United States within the next few years. The Audi e-tron will be followed by the Audi e-tron Sportback concept (expected debut in 2019), the Audi e-tron GT and the Audi Q4 e-tron (both expected to enter production in 2020). The automaker is creating services that aim to make going electric more attractive, including an available premium in-home charging installation through Amazon Home Services, complimentary 1,000 kWh of charge within the first 4 years of ownership powered by Electrify America, and access to Audi’s partnership with Arcadia Power, a nationwide digital utility. 2 comments about "Audi Challenges Electric Vehicle Misconceptions". R MARK REASBECK from www.USAonly.US , April 15, 2019 at 7:24 p.m.
How much to replace the battery.............surely, not for me. Barry Robertson from Boomer-Plus Consulting Group, April 15, 2019 at 8:18 p.m.
A generous, feel good PSA for upmarket EVs in general. A noble gesture that saves BMW, MB, Lexus, Volvo, Cadillac and Lincoln from spending big ad bucks "resolving" EV issues most real prospects in the $75-100K price arena already know are passe (think Tesla). Now, apart from kindness to the competition, what exactly is the e-tron USP?